Incredible opportunity to own a brand new, custom built back unit in the heart of Corona del Mar Village. This transitional style home designed by Brandon Architects is ideal for indoor/outdoor living featuring a large open loggia off the great room. There is also a sun-soaked roof deck with covered cabana offering spanning views of the Village. 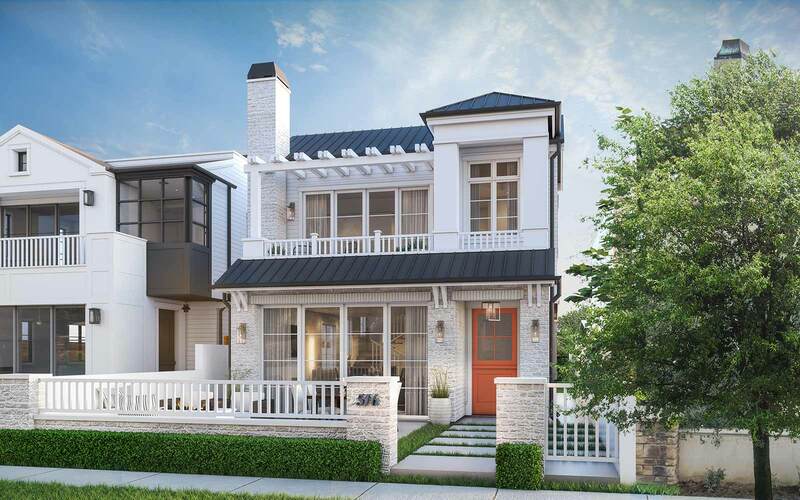 Other luxe features include a gourmet kitchen with large island, massive ceiling heights with skylights allowing for plenty of natural light, a cozy fireplace in the living room, spacious dining room for entertaining guests, and two bedroom suites. Built with only the finest materials, this home will outlast generations. This home epitomizes the relaxed ambiance of Corona del Mar coastal living, situated just blocks from the beach.